In January, I wrote a post with a list of image editors I use online. Today I want to update that list because I find I’m spending way more time on PicMonkey than I used to. I’ve also discovered Canva and iPiccy. In the images below, I'm not really helping you compare the three (I'm not clever enough!) so much as showing you examples of what I've created there, using a photo taken with my camera. PicMonkey: A couple of months ago, I began using PicMonkey much more. I liked the free version so much, I decided to pay for a subscription. PicMonkey’s Royale costs me $33/year and for that I get many, many more options than the free version - as well as no ads. I also get an editor that's straightforward and fun to use. Unlike Ribbet, PicMonkey doesn’t store the images you upload. You need to save them to your computer. If you want to make a collage, you start by grabbing the image you want from your computer, then fetch more. If I had to sum up PicMonkey versus other image editors, I’d say it’s subtler. PicMonkey seems to be constantly rolling out improvements and have great blog posts suggesting ways to use their tools. 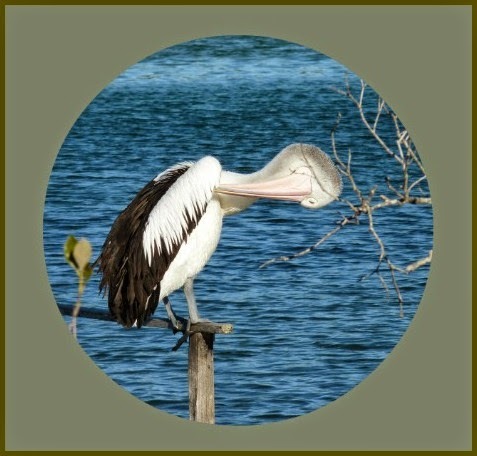 For the image above, I resized the large original image, then I used the new Frames tool, Shape Cutouts, to cut a circle shape around one pelican. I chose a coloured canvas under the Design screen, then used the Overlay tool to add my own pelican cutout to the canvas. Canva: What I admire about Canva is the tremendous support they offer. This is in the form of tutorials. They’re comprehensive and easy to follow, as well as being interactive so you actually get to practise what you’re learning. Their business model is interesting. Lots of Canva is free to use, but if you want extras, you pay per extra. It’s only a matter of a dollar for an image or clipart. They also send periodic emails with links to their tutorials, and I find this excellent, as sometimes I don’t realise that I need to learn something until they suggest it. Each time I try out things at Canva, I learn something new. Today I took notice that they have lots of pre-set social image canvases, so you know the exact size to make your Twitter or Facebook image. 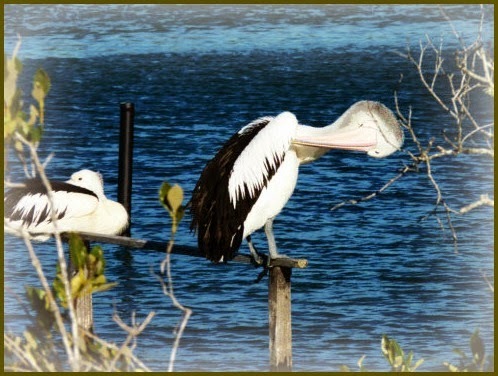 For the image above, I started with a Twitter canvas, replaced the image with my pelican cutout from PicMonkey, made up a twitter handle for the pelican and resized the image by a quarter to make it suitable to publish here. If you haven’t made your new header for Twitter yet, do try out Canva. I don’t enjoy Canva as much as PicMonkey yet, but I hope I will when I learn more. I said in January that I used Ribbet more than any other online image editor. While that’s changed, I still think Ribbet is simple to use, FREE!, easy to learn and it offers some things the others don’t. In fact, the best idea is to get to know several editors and pick and choose what you do there. Nothing stops you starting an image in Canva, exporting it to PicMonkey, and finishing at Ribbet. For kids, my pick of editors online is still Ribbet, but children of the digital generation will pick some things up intuitively at all these websites. 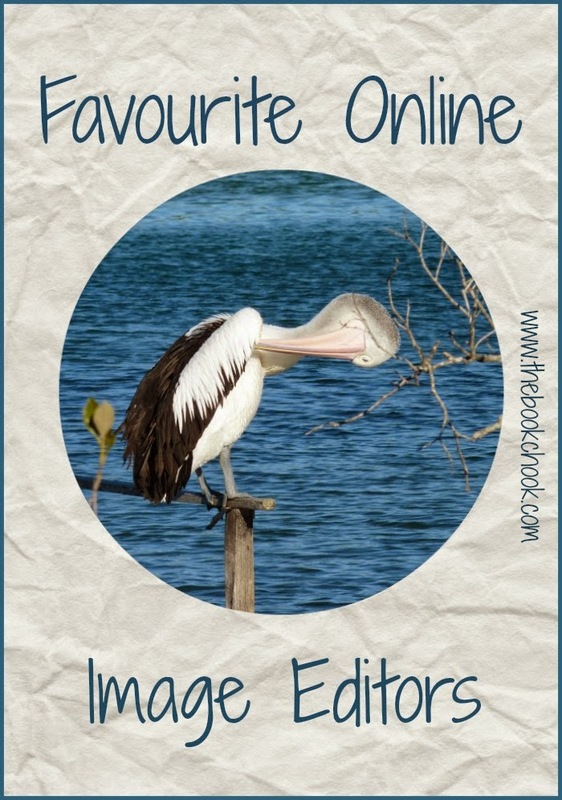 You might also like to read Book Chook Favourites - Creative iPad Photo Apps, Book Chook Favourites - Online Image Makers, and Fun and Easy Ways to Make Digital Art with Kids.